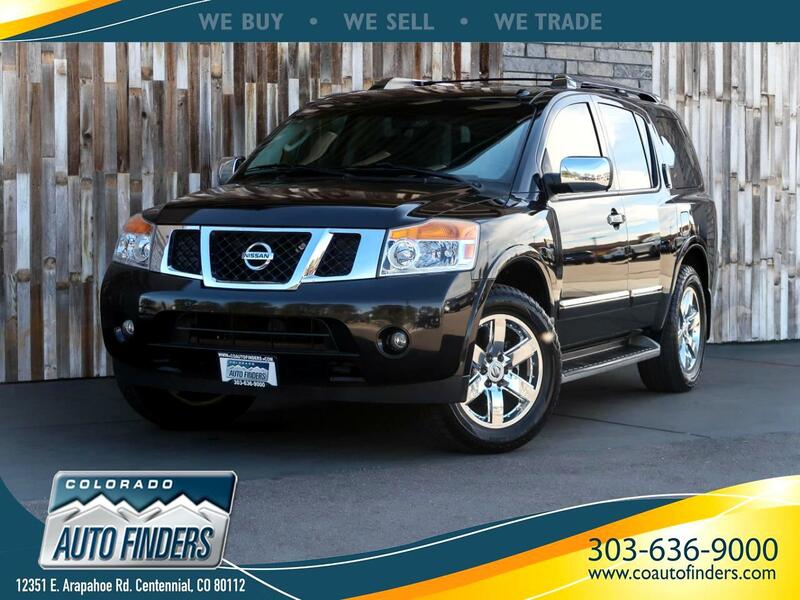 This 2012 Nissan Armada for sale in Centennial, CO. This 7 Passenger Full-Size SUV is LOADED with features and luxuries. Some Equipment includes Power Seats/Mirrors/Windows/Tailgate, Heated Front and Second Row Seats, Heated Steering Wheel, Power Adjustable Pedals, Backup Camera, Navigation, Rear Entertainment Screen, 3 Zone Climate Control, and a Super Clean Black Leather Interior. Finding an SUV for this Price with all these options can be tough, so come check out ours!